Bridget Anyafulu is the founder and executive director of the International Centre for Women’s Empowerment and Child Development (ICWECD). She is based in Delta District, Nigeria. She is a member of the FP2020 Rights & Empowerment Working Group, with whom she shared this story. A project that brings fresh running water to a remote, impoverished village—how could it be anything other than a blessing? The local women didn’t see it that way. In a small village in the Delta District of Nigeria, women would walk up to four kilometers every day to get water from the nearest river. These women had a secret. Many were desperate to delay getting pregnant. Local people believed husbands should decide how many children to have, and men preferred big families. It was not unusual for women to give birth eight, nine, or 10 times. Motherhood started early; one assessment found that approximately 50% of the village’s girls already had a child. Tragically, maternal and child deaths were common. If a woman could get to a hospital, she could get access to contraceptives. But getting there was only part of the problem. By taking contraceptives, a wife was usurping her husband’s authority. If she was caught taking a pill, his wrath, and the wrath of his family, could be formidable. The women devised a plan. They bundled up their contraceptives and hid them in a tree near the river. Every day, on their way to fetch water, they could take their pills out of sight of the men. Then the pipes came. Now, with running water not 200 meters from their doorsteps, the women had no excuse to visit the tree by the river. They didn’t want to get caught by their husbands, but no woman wants to die in childbirth or lose her newborn. So they came up with a new plan. The women vandalized the water pipes. When Bridget saw what had happened, she knew the problem was neither the pipes nor the women. She understood that the root of the trouble was the husbands’ attitude toward family planning, and the cultural norms that kept women disempowered. She also knew that if this was a problem in one village, it was likely a problem in other Delta District communities. Bridget’s strategy was to convince husbands that women have the right to live and to see their children grow and thrive. To do that, women need to space their pregnancies and have fewer children. She went from village to village and home to home, talking with leaders and individual husbands about the benefits of family planning. She persuaded them that having fewer children, who are healthy and educated, is a better legacy than having many children whose prospects are dim. She helped them understand that when a mother dies in childbirth, the whole family and the community suffer. It took many years of hard work, but today, attitudes in Delta District have changed. Family size is smaller, and there are fewer maternal and newborn deaths. There is still a long road ahead, but the lessons are clear. Services should never be implemented without a deep understanding of the needs of all members of a community. Building a pipeline is not enough. 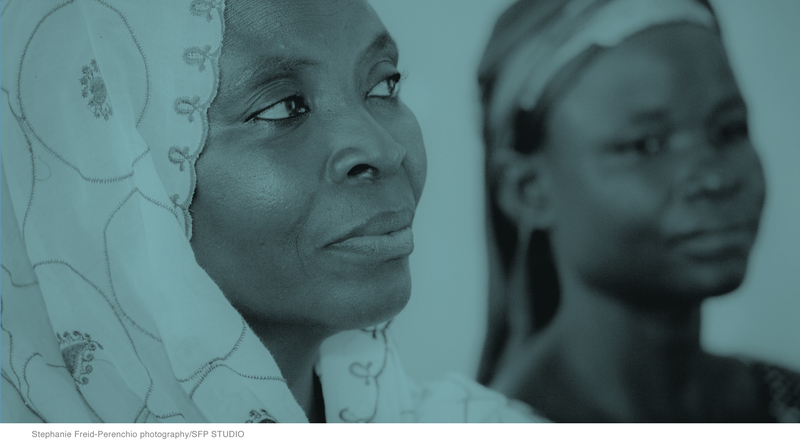 For change to take root, we must place women’s empowerment at the center of the development agenda.